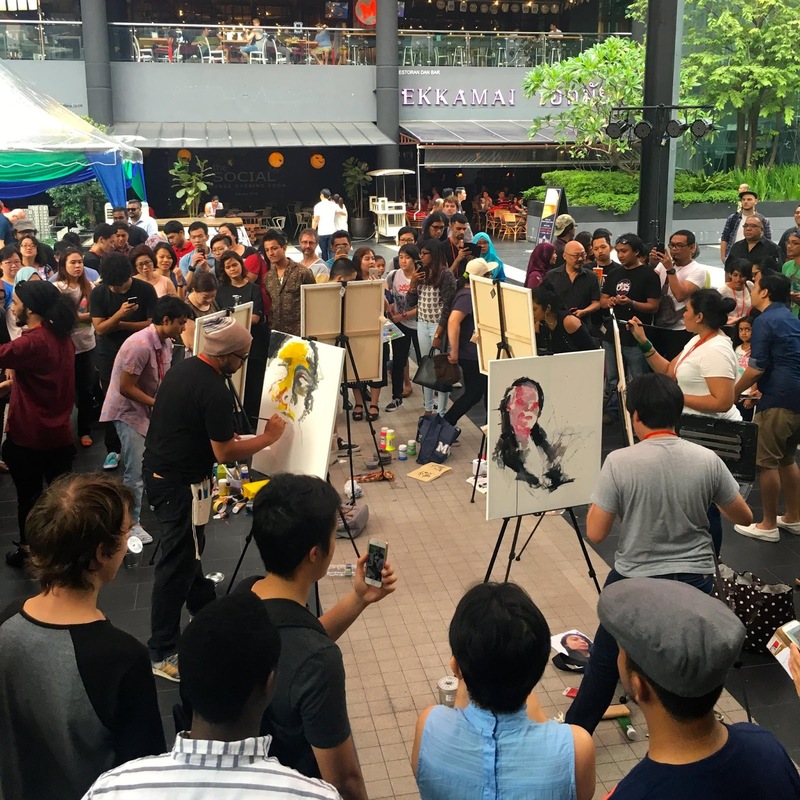 12 Malaysian Artists BRING IT ON at the First Art Battle Malaysia! Art Battle Malaysia was held last weekend at Publika, Mont Kiara, Kuala Lumpur. 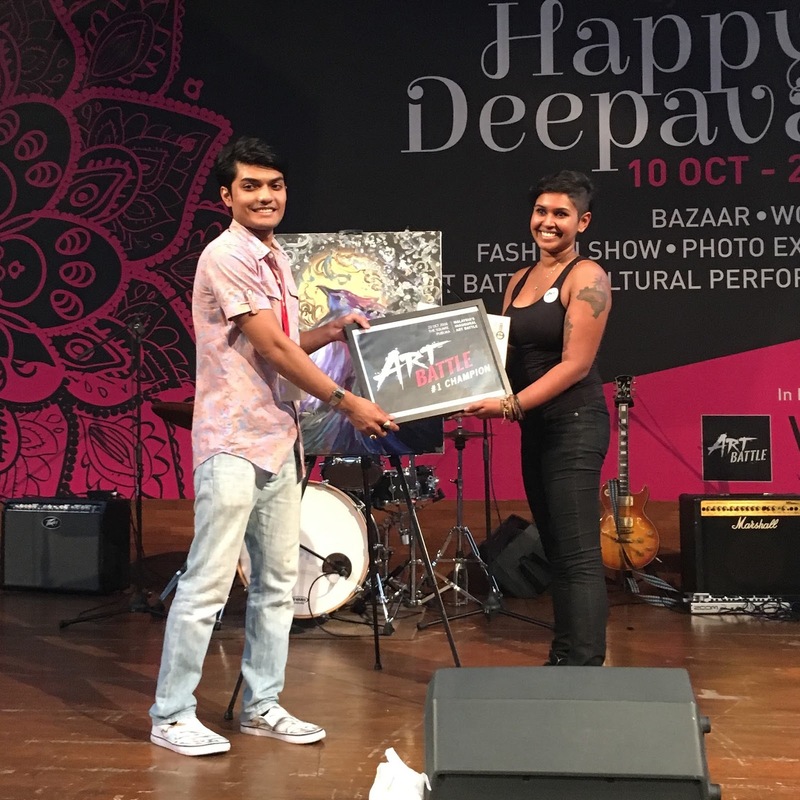 It was a movement that celebrated the creative spirit of every single individual, whether they are the ones who participated or not. 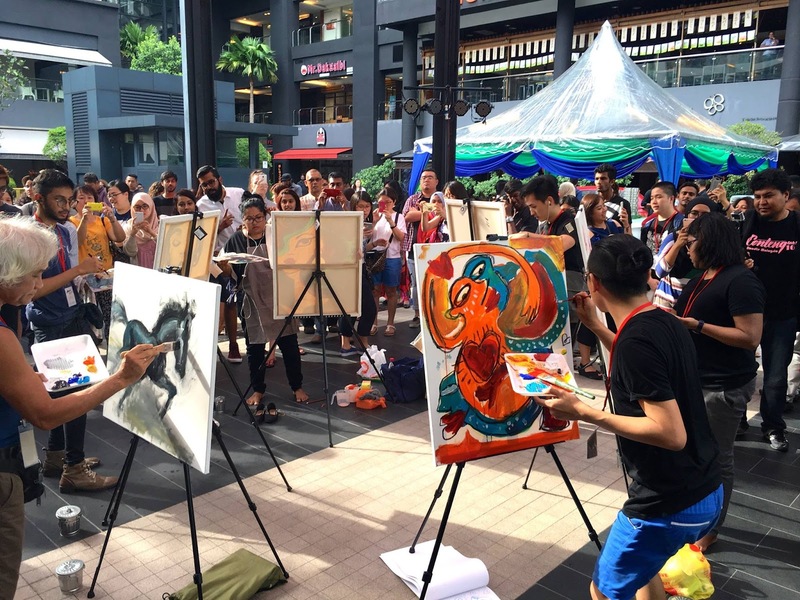 The colourful event was a blast and it saw 12 Malaysian artists battled with paints, and brushes as their "weapon of choice" and canvases as their "shield". Hyping up the crowd were hosts Melissa Th'ng from Hitz.FM and Mash from ASTRO. 1. Out of the 12 featured artists, who won the title? Malaysian artist, Haris Rashid won the title. 2. What is your aim for organizing Malaysia's first Art Battle? "Firstly, I aim to have the masses (the people who aren't involved in the current art scene) to start conversing more about art. 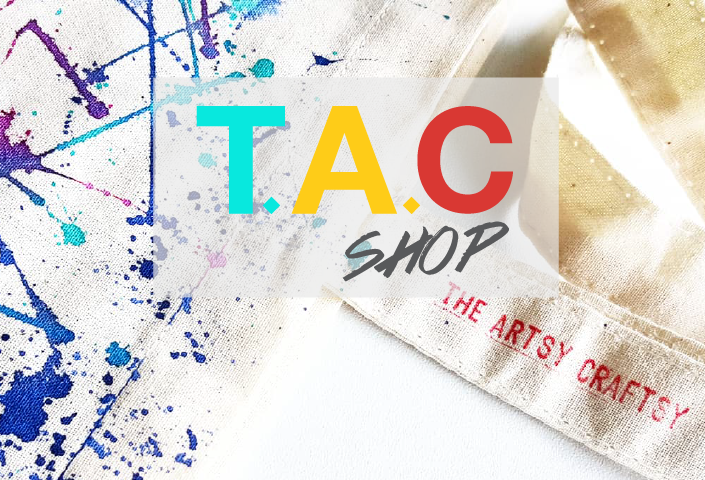 This is because, art battle's mechanics involves choosing the winner via votings, and therefore, it encourages the audience to discuss the artwork amongst each other." 3. 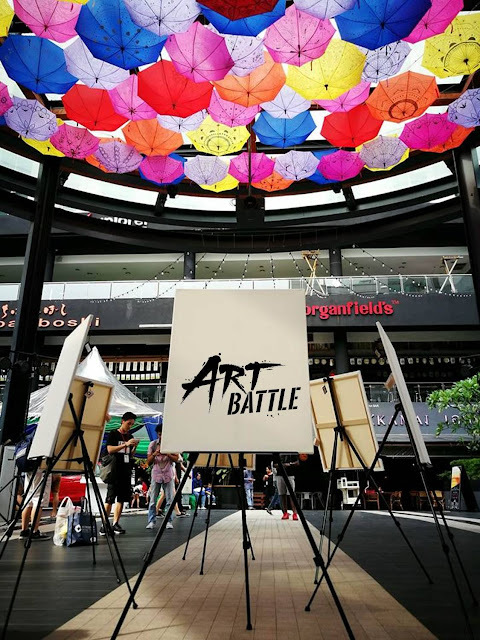 What is the next Art Battle Malaysia going to be like? Will it be any different from the first one and what can the audience expect? Art Battle Malaysia in 2017 is going to be different! 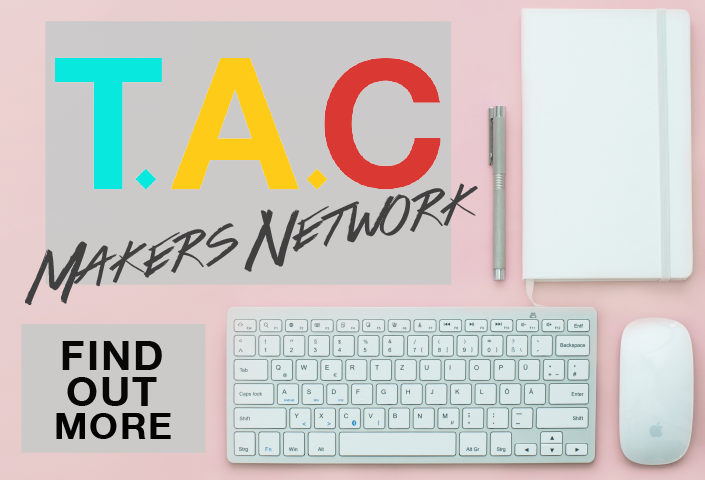 I aim to make Art Battle a fully digital platform. People will be able to vote, bid, register and all these will be happening online. As far as I know, there isn't any other art event like this. 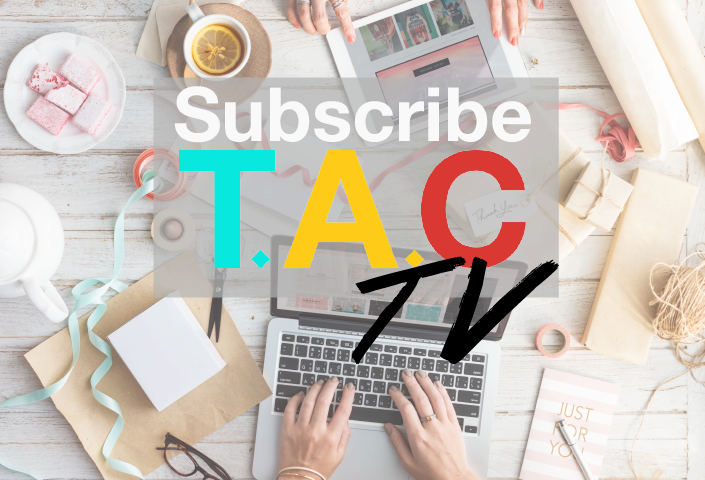 Plus, as a digital marketeer, I wish to merge my experience in both online marketing and arts to create a more wholesome experience for the audience. 4. Definitely already looking forward to the one! What are the requirements to join, especially for those who wants to take part in the next round? The finished artworks by artists were bid at a starting price of RM150. According to Ruby, it lowers the entry cost to own an original artwork. This initiative will certainly encourage people to start owning original artworks too. Art Battle Malaysia was sponsored by Premier Art and Gerak Budaya. Venue was sponsored by Publika Shopping Gallery. If you missed the event, check out hashtag #artbattlemy for pictures and videos! Want to join the NEXT Art Battle Malaysia? Follow Art Battle Malaysia on Facebook for updates or contact Ruby Subramaniam on her Facebook Page. I like your post! I am appreciated from your inspiration and blog post.